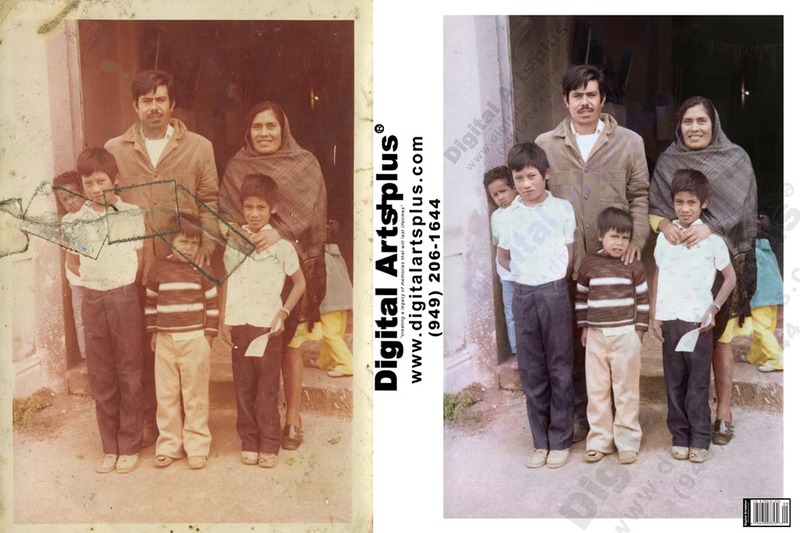 Photo restoration – Starting @ $39.95 - We will repair your photos & video! 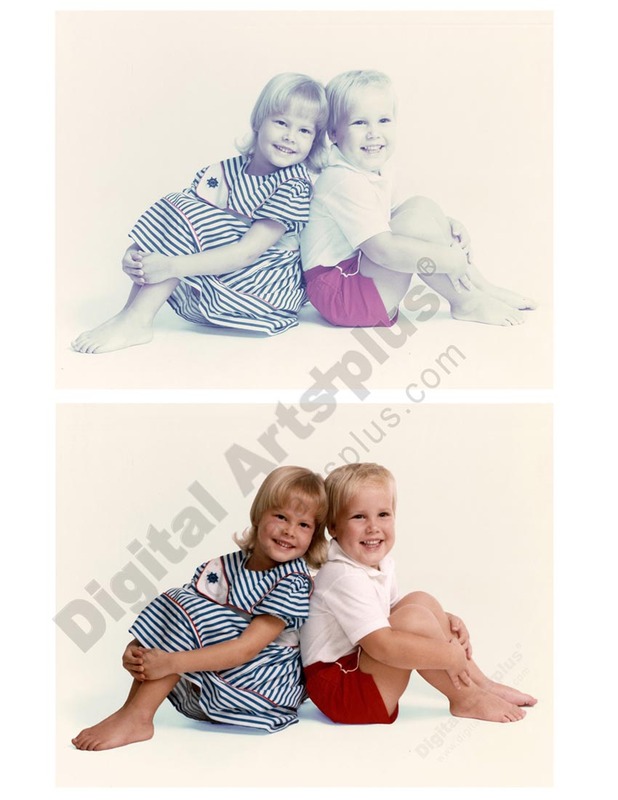 Revitalize Color or B&W photo and/or adjust contrast and lightness/darkness of photos with no damage. Remove minor stains, dust, scratches. Remove red eye. Repair minor cracks, creases, tears. Repair slight fading or discoloration. Repairs are outside of face areas. 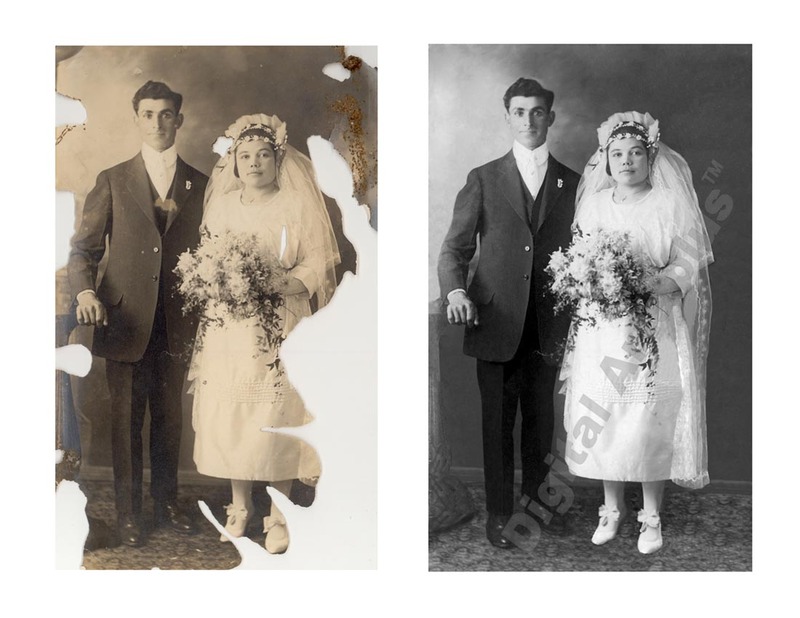 Repair moderate discoloration or fading. Repair moderate cracks, creases, or tears. 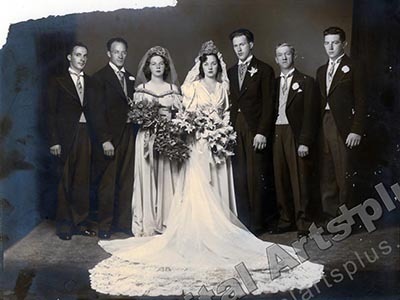 Colorize intact black & white photo with one subject. (Or) Add or remove one person. (Or) Change background. 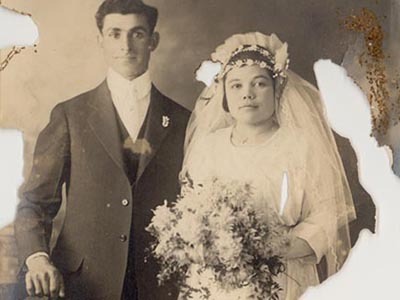 Repair severe discoloration or fading. Repair severe cracks, creases, or tears. 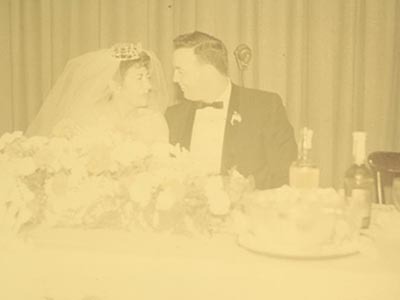 Colorize intact black & white photo with multiple subjects. 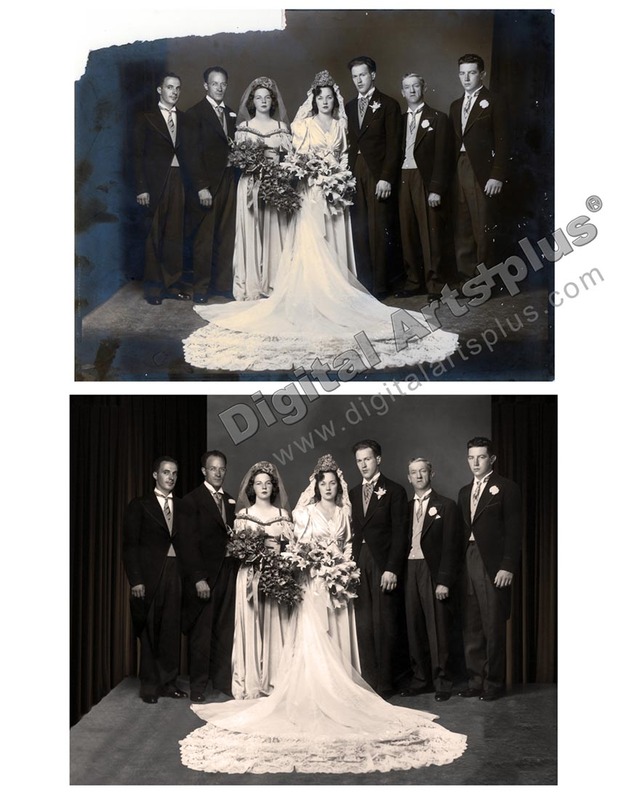 Light restoration plus one additional service such as add or remove one person. (Or) Change background. For heavily damaged originals. Reconstruct facial damage or missing background areas. Add or delete more than one person. 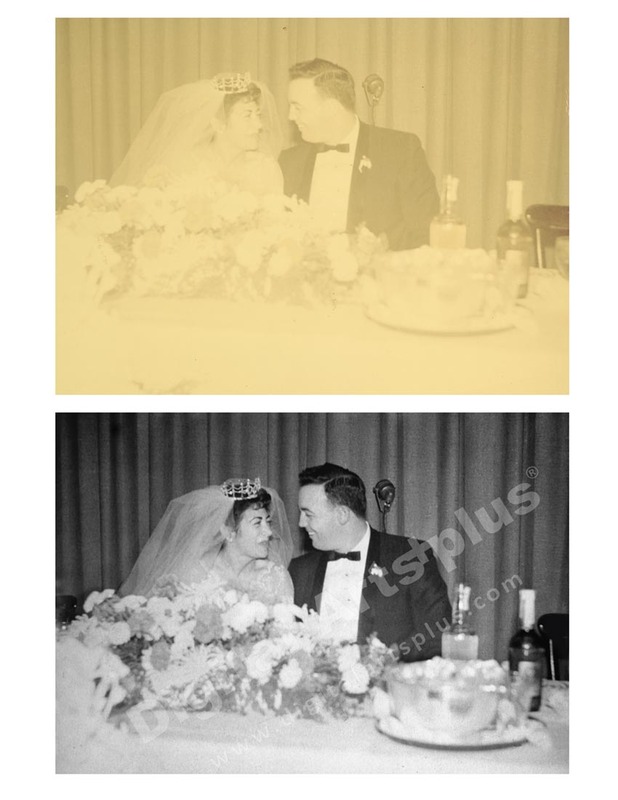 B&W restore plus colorization. 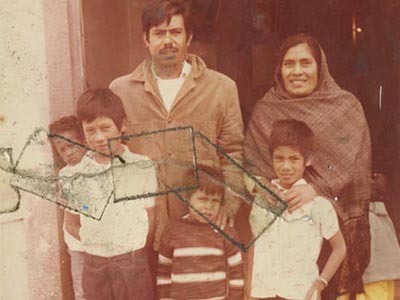 For heavily damaged photos of groups with damage in more than one facial area. Digital Arts+Plus LLC. is a premier and innovative company, in Orange County, CA. 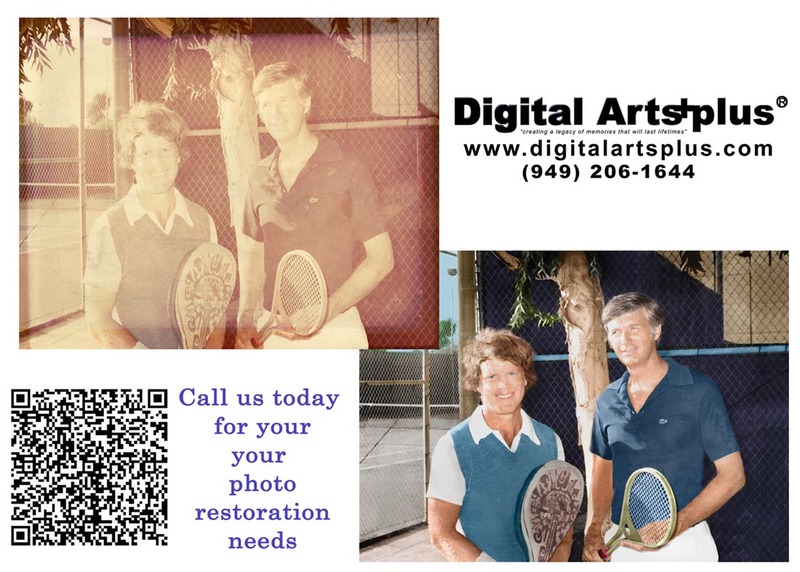 specializing in the art of video post-production, digital photo touch ups, photo montages, photo archiving, photo restorations, photo montages, home movie transfers to DVD, video editing, titling, DVD authoring and much more. We use state-of-the-art, professional equipment and the latest software to give our clients the best possible video product. Our primary objective is to always provide the best possible service, which explains why about half of our business comes from repeat customers and referrals. We take exceptional care in handling of your media and treat it as if it was ours. All work is done in-house and nothing is sub-contracted. Equipment that we use, is regularly serviced and maintained by professionals in the industry. We realize and understand that your film, video tapes, photos and slides are all unique and very dear to you. 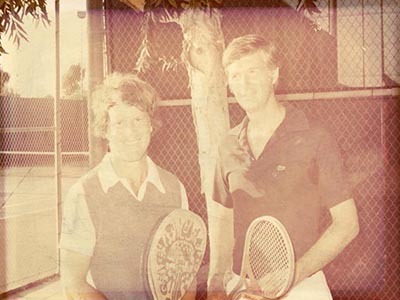 Therefore we take exceptional care in processing and handling your “memories”. We will make every effort possible to ensure that the final product is what you expected and that you are completely satisfied. We are so confident that you will be satisfied with our work that we are backing it with money back guarantee. If we fail to deliver on agreed upon result, we will refund your money (less S&H) as soon as we receive the unacceptable product back.